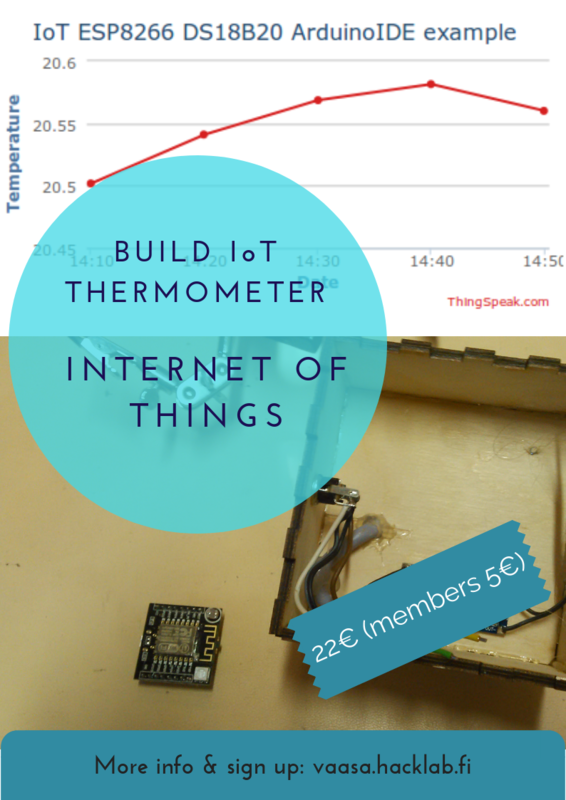 On Tuesday we will have one more rerun on the Internet of Things and how to build a Internet connected temperature measuring device. 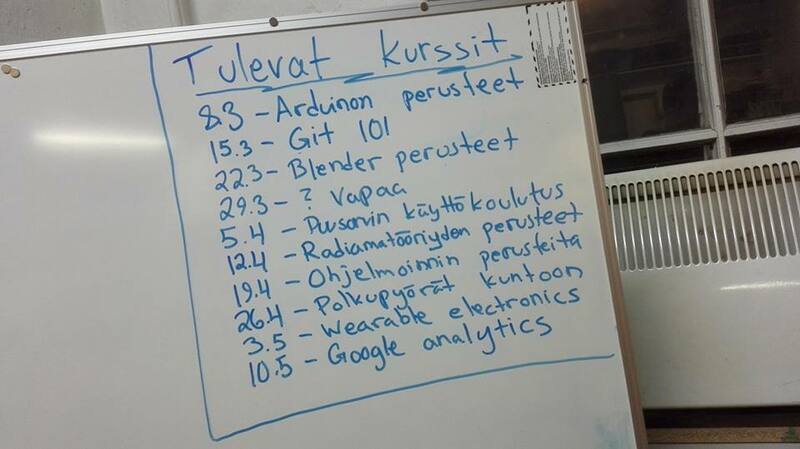 Lets build cloud connected IoT devices. Build your own internet connected temperature sensor or light sensor or even button. Basic understanding of programming helps but it is not required. TYKY-online users and members use Holvi to register but remember to use the given discount codes to get the right price, TYKYUSER/MEMBER.